SMEs or Small and Medium Enterprises are the backbone of Asia’s economy. They’re classified into 2 ways, through assets and through number of employees. To give you an idea, they’re the registered online shops you buy from, the tech guys who build apps that make our lives easier, the mompreneur with multiple businesses, the boutique hotel owner you met at the lobby, the brilliant agencies that create your marketing campaign--so on and so forth. I won’t go into much detail but here’s a slideshow you can look at if you want to see the deets under a microscope. So, why am I writing about SMEs? In a sense, we cowork to make the dream work--whether it’s at a coffice, a home office, or in an actual coworking space. Coworking is a style of work that involves a shared workplace, often an office, and independent activity. Unlike in a typical office, those coworking are usually not employed by the same organization. These are some of the reasons why I encourage most of my partners/clients to try out coworking spaces. SMEs are always looking for the most affordable option (aren’t we all? ha!) and sharing a space that already provides all the necessities you need is waaay better than paying monthly for rent, water, electricity, internet, and all the office furniture and equipment you need. Plus, it’s so much easier to look for a coworking space. Just go to flyspaces.com and you get to see various coworking spaces in different locations at different price points. All you hafta to do is choose! Since you’re all sharing an office space with other companies, it’s so easy to tap another SME or even a freelancer to get things done--which means, you are able to collaborate and connect with key people in your industry. It’s like having an x-deal with a co-entrepreneur minus all the fluff. No need to pay for water, multiple cups of coffee, printing services, paper, refrigerator, etc. Everything’s within reach. 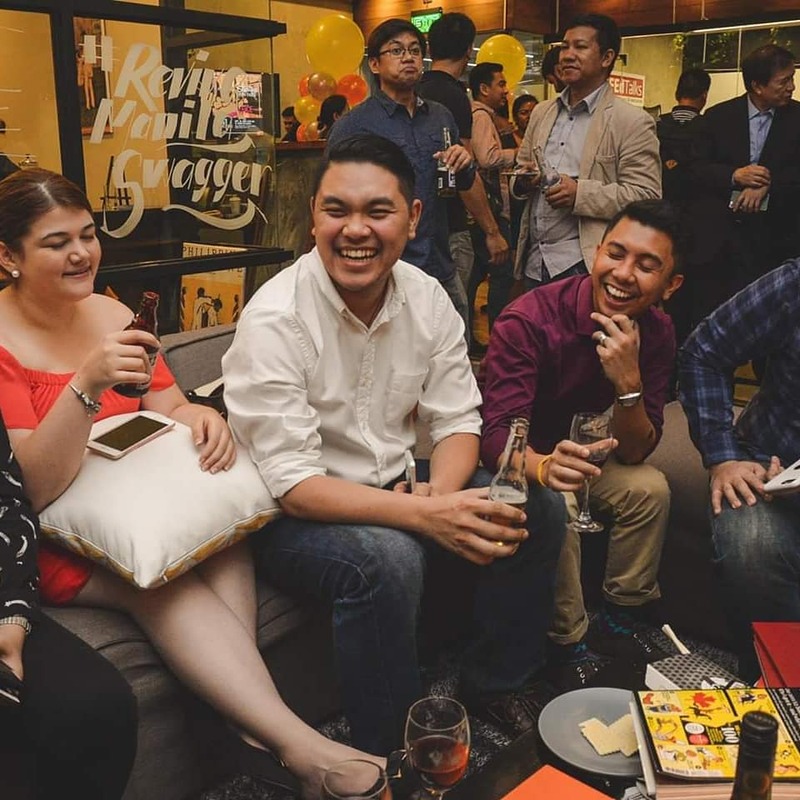 There’s a reason why coworking spaces are mostly in BGC, Makati, and Ortigas (now even Quezon City, actually!). These areas are a melting pot to business opportunities. Also, a strategic location adds plus points to your business’s reputation. What I particularly love about coworking spaces are the regular events they hold. It’s really something to look forward to because they either invite speakers (I’ve actually hosted some at Alt Shift & Villa Virtual) or just host random wine and cheese nights just because. As a remote worker (I can work anywhere I want) I work at either at my home office, coffices, my boyfriend’s company’s office, or at coworking spaces. This setup is awesome for someone like who always needs to churn out content. The downside is that there are times that I really need to go all out during the wee hours of the night (trust me, pulling an all-nighter at home never happens ‘cause I always fall asleep! booo.). At coworking spaces, if I rent a private office, I can get access to anytime I want--which it makes it easier to get things done. If you’re an SME owner/SME/someone who needs an office space, check out Flyspaces’ contest (the contest is open to everyone!) so you can win an unlimited passport for 3 months and try out their spaces all over Metro Manila. And of you get a guava pass and party for your office too! Check out this link bit.ly/flyspacescontest for more details. Hurry, contest ends on Dec. 7! If you tried working at coworking spaces, let me know your thoughts! Overall, coworking spaces are the most cost-effective way to have your own space, gather your team, and get things done.